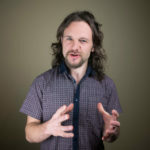 June 12, 2018 June 11, 2018 - by Alex Owen-Hill - 3 Comments. Robot machining is sending CNC machines the way of the dinosaurs! But are robots really good enough for machining? 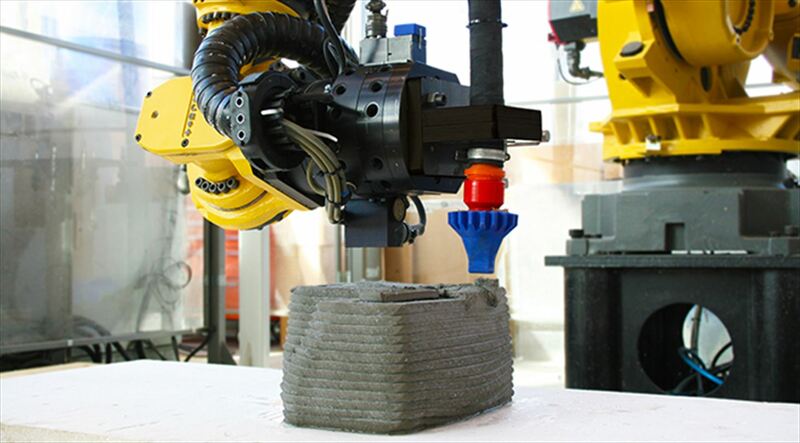 If you haven’t heard it yet, robots are the new CNC machines! 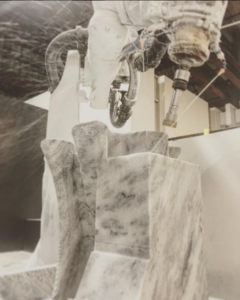 Over the last decade, robots have started to be used instead of traditional machine tools for a wide range of tasks, including milling, polishing, deburring, cutting and more. But, can robot machining really outperform dedicated machine tools? Let’s find out. If the idea of robot machining is new to you, you might be a bit sceptical. Robots are not known for their rigidity, which is usually considered to be the most important property of a CNC machine. However, robot machining has some huge benefits which can outweigh this disadvantage. Imagine you’ve got a huge block of ice. You want to sculpt a humorous ice statue of your company’s CEO for an upcoming business dinner. However, you don’t have the skills — nor the time — to learn to sculpt ice by hand. You have access to a machine shop full of CNC machines, but all of them are far too small to fit the ice block. But you do have a robot. This is exactly the sort of application that is perfect for robot machining. It involves a workpiece which is too big for traditional machine tools, which is made of a relatively soft material and requires complex machining paths which would be impossible to achieve with most CNC machines. This is why robot machining is especially popular for rapid prototyping tasks. However, you may be thinking: “That’s all very well, but I don’t want to carve a block of ice. I want to accurately machine our product. Can robot machining work for me?” Maybe. Machining accuracy is the probably the top property that people use to determine the performance of a CNC machine. If your machine isn’t accurate, how can you hope to create a quality product? The accuracy of machine tools is improving all the time. High-end machines can achieve accuracies of between 20-50 microns. The so-called “world’s most accurate lathe” (which was created back in 2001 and doesn’t seem to have been beaten) has an accuracy of 0.2 microns. Robot accuracy has been improving in the last few years. Industrial robots can be calibrated close to their repeatability. 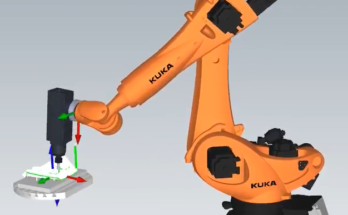 For example, a KUKA KR210 robot with the repeatability of 100 microns can be calibrated to an accuracy of up to 200 microns. However, it is important to remember that the accuracy of a robot is dependent on good calibration (as we discussed in our article Is Offline Programming Really Accurate?). Because the calibration depends on the end users, the robotics industry tends to focus more on a robot’s “repeatability” than its accuracy. When it comes to workspace, there are some impressive CNC machines out there. I’ve seen flatbed machines that are bigger than elephants. However, most have a much smaller workspace. Industrial robots, on the other hand, very often have a large workspace. A medium-sized industrial robot will have a working envelope of 7 to 8 cubic meters. What’s more, you can easily add an external axis to the robot and extend its workspace even further. Probably the biggest benefit of robots is their versatility. You can easily move them from one task to another. CNC machines are great at one specific task, whether it be milling, turning, drilling, etc. A robot can do all of these things and more. 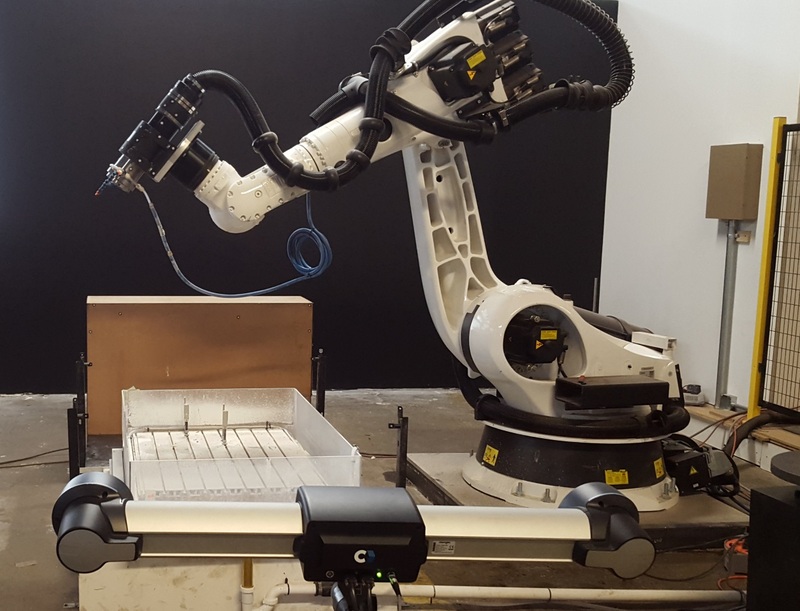 Robots are also able to move along more complex paths than most CNC machines. CNC machines tend to have 3 or 4 Degrees of Freedom (DoF). This is sufficient for a lot of machining tasks, but it can be restrictive. Almost all industrial robots have 6 DoF which means you can pretty much machine any shape you want. The rigidity or stiffness of a machine tool strongly influences its accuracy. A tool with low rigidity will move when it encounters a hard material. This will cause an inaccurate cut. 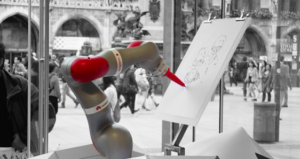 Robots usually have much less stiffness than traditional machine tools. The stiffness of a robot is generally less than 1 Newton per micrometer, whilst CNC machines often have more than 50 Newtons per micrometer. Low rigidity tools also tend to have lower natural frequencies, which means that the tool will vibrate when it comes in contact with the material. Robots have a natural frequency of 10 to 20 Hz, compared to several hundred or thousand Hz for machine tools. Robot machining can easily handle soft materials like foam, wood, plastic, etc. However, harder materials like steel or titanium may cause backlash in the robot’s motors, which will decrease the accuracy. Both machine tools and robots can be expensive. 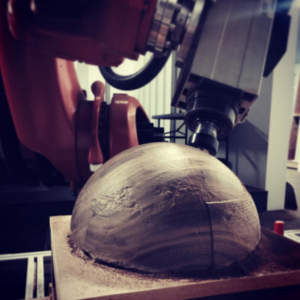 However, robots have two distinct advantages over traditional CNC machines: their large workspace and versatility. The possibility of machining objects of (practically) any size, shape and complexity means that robots can offer more value to a business for less cost. Researchers from the University of Mons in Belgium estimated that a robot is 30% cheaper than a machine tool with the same workspace. But, with one caveat: it depends on what the word “outperform” means for your application. If your machining task requires high accuracy and rigidity then CNC machines cannot be beaten. However, if you need versatility, a large workspace and affordability, robot machining is the way to go. 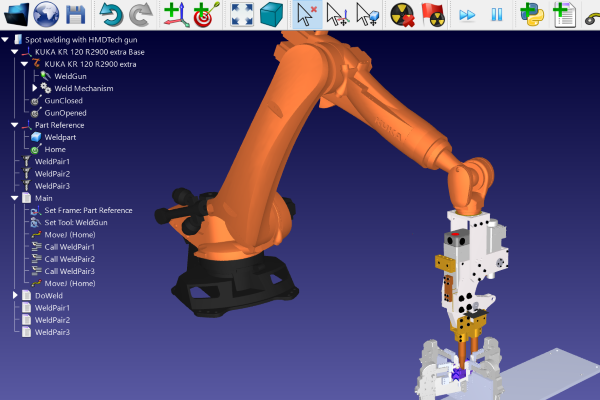 Robot machining is easy, but only if you have the right programming software. RoboDK comes with an in-built robot machining tool which will convert your CAM-produced ASM file or GCODE into a path for your robot. You can find a video demo of this tool here. 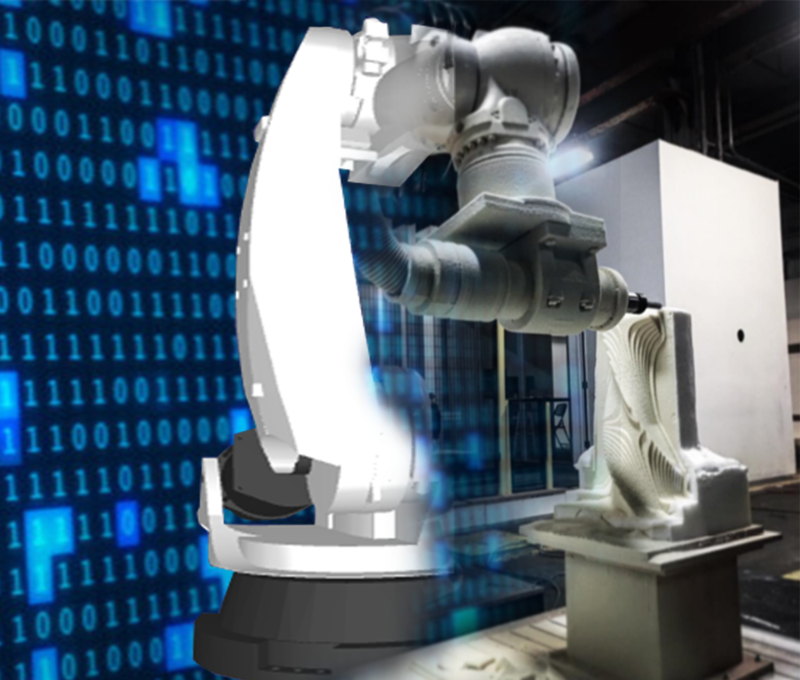 It also supports robots which have been specially designed for robot machining applications (with improved stiffness and accuracy) suchas Stäubli RX170 hsm, ABB IRB 6660, and KUKA KR 500-3 (the Machine Tool variant). You can find the models for these robots, and hundreds more, in the Robot Library. 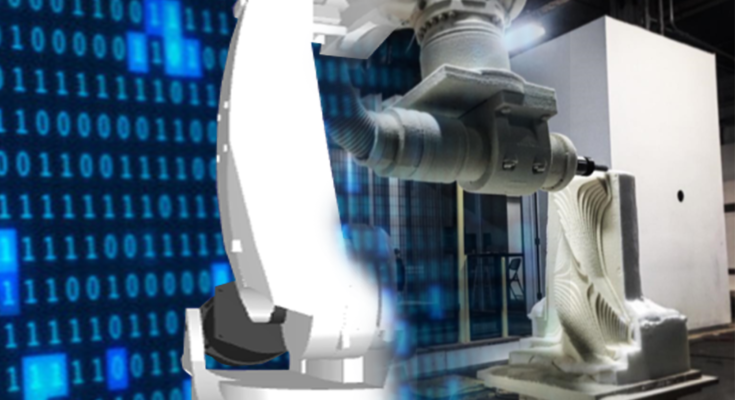 Are you planning to purchase a robot for machining tasks? Tell us in the comments below or join the discussion on LinkedIn, Twitter, Facebook or Instagram. Previous Article Why Should You Program With a Robot SDK? While we do agree that robotic machining has incrementally improved our workforce’s ability to help our customers more expediently, we also know that it takes a skilled employee/team in order to plan and run the robotic systems accurately.